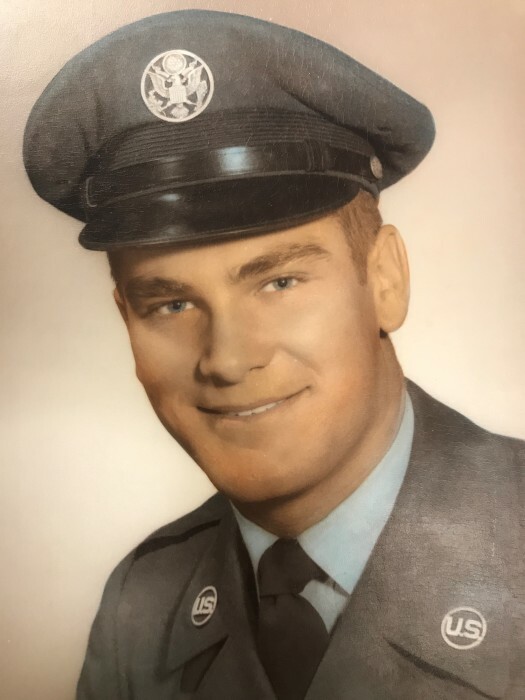 Carl Keith O’Dell, 82, of Boonville MO, died peacefully at Truman VA Hospital Thursday evening, February 7, 2019. Carl was born in Howard County where he attended Petersburg School and graduated from Laura Speed Elliott in Boonville. He lived there until he joined the Air Force in 1956 and spent 15 years serving his country. After the service, he was employed by AT&T, tractor/trailer truck driver until he retired in 2000. Surviving of the home is his niece, Shirley Wentworth who cared for Carl; his three children, Carla (Brian) Johnson of Tennessee, Sheryl (Ed) Girard of Alabama and Teri (Greg) McColley of Arizona, four grandchildren and two great-grandchildren. He is also survived by two sisters, Marjorie (William) Cooper of New Franklin and LaVerne (Leland) Jeffress of Boonville. He is preceded in death by his parents, Levi and Rosa Anna (Rickerson) O’Dell, six brothers, James, Lynn, Ernest, Lloyd, Ralph and Levi Everett. He is also preceded in death by his five sisters, Ruth Frey, Mary E. James, Hazel Topping, Helen Eaton, and Ruby Hosey and many nieces and nephews. Funeral services will be held at Howard Funeral home Thursday February 14, 2019 beginning at 2:00 P.M. with Rev. Tim Fairley officiating. Visitation will be from 1:00 P.M. to the start of the funeral. Burial will follow in Mt. Pleasant Cemetery in New Franklin, Missouri with full military honors. Memorial contributions are suggested to the Veterans Association.